People responding to newspaper polls during the voting period might be wary of admitting they had responded ‘no’. One team of university researchers used data analytics to predict a narrow ‘no’ result, despite the mainstream news outlet surveys indicating the opposite. However, external polling done throughout the survey by various organisations fairly accurately predicted both the result and the turnout. 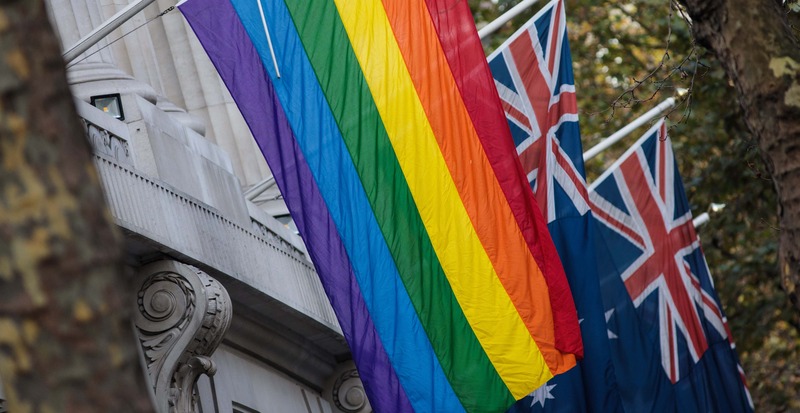 Australia's path to implementing the Yes vote lacks the same political agreement. But the government can point to the experience in Ireland to soothe the inevitable challenges and remind the public that the hens still lay eggs. Coral foresaw the emergence of a new multipolar order. A decade on, it is a multipolarity whose emergence even our finest contemporary strategic minds are only now beginning to acknowledge. It is a multipolarity that has been brought into sharper relief by the Trump presidency, a development not even Coral would have seen coming. And it is a multipolarity that Australian scholars and practitioners alike now need to think much harder about. The End of the Vasco da Gama Era is vintage Coral Bell: bold and trenchant, with plenty on which both academics and policymakers might chew. Criticising it – especially with the benefit of hindsight – seems churlish. But it is necessary, I think, because it promotes a deeply problematic idea that still lurks in Australian strategic thought: the notion that a ‘concert of powers’ is the best way to manage contemporary international relations. The strong expectation of the leaders of many countries involved in the Trans-Pacific Partnership, including Prime Minister Malcolm Turnbull, was that an agreement would be concluded in the margins of the APEC Summit at the weekend in Vietnam. This was to be a significant achievement given the TPP was widely proclaimed as dead when Donald Trump withdrew the US from the deal in January 2017. But Canada spoilt the party. The consensus all year has appeared to be that change needs to come to the charter, and quick, or we may as well hang up our matching national dress and fumbling group handshakes. This is a ruthlessly myopic ideal of what ASEAN should be. We need to make room for the wins it has achieved and the potential it has for the next 50 years. China's diplomats can sit back, well happy that, whatever it may mean for Making America Great Again, the November 2017 visit contributed handsomely to their priority: Making China even greater..
China looms large today not just as a potential threat but as a close economic partner. None of the approaches reconcile the tension between economics and defence. You cannot avoid the inconvenient fact that funding the future ADF relies on good economic growth, and to a considerable extent this relies on China. Every image, I am thinking how can it survive inside the Great Firewall? Sometimes the most simple image is more effective. An image which is really simple, you don't even need face or body features. With this work people can pass it round, print it out, mimic the drawing by themselves. That way it goes around the censorship system. But we know that China wants to increase its influence, and we know what shape that influence takes, and we have (if our media and political commentary is anything to go by) a strong commitment to resist any erosion to our values and norms. Surely we don't need to pre-emptively self-censor? Almost every major business is reliant in some way on the internet to connect into the global economy, making reliable and affordable internet access no longer a luxury but a basic requirement. Despite its importance, internet access in Papua New Guinea and Solomon Islands is prohibitively expensive, the most expensive in the Pacific region and indeed the world. While the notion of Trump endorsing Assange as Australia's Ambassador is absurd, it's only somewhat more absurd than Trump floating Brexit supremo Nigel Farage as the UK's Ambassador via Twitter – which actually happened.